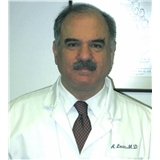 Alan J. Levin, M.D. Family Practice (Huntingdon Valley) - Book Appointment Online! I am a solo family doctor with a small staff. We therefore get to know every patient personally. We try to practice using new methods but an old-time attitude towards patients and relationships. I've been in practice for 35 years and I am still doing it like this! WE DO NOT ACCEPT CREDIT CARDS! I showed up late and was had to leave to get money out of an ATM because I was short for my copay, and the receptionist was so sweet and so patient. Even with me being late they still got me in at a good time. I probably waited maybe 10 minutes, maybe even less. I'm huge on customer service and I was treated with much respect and kindness. This is a very friendly place and Dr. Levin is extremely informative and was very helpful! I would definitely go back here again and highly reccommend this office!